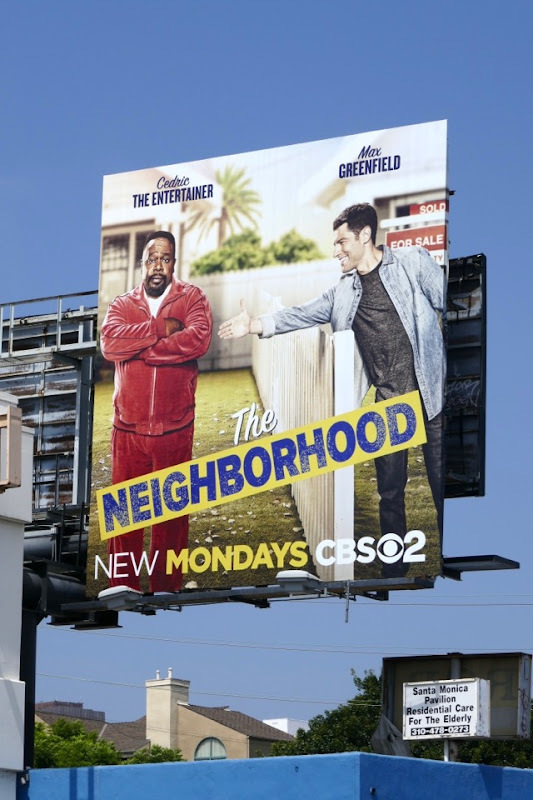 Welcome to another week here at Daily Billboard and let's hope this week isn't as much of a dumpster fire as the end of last week. 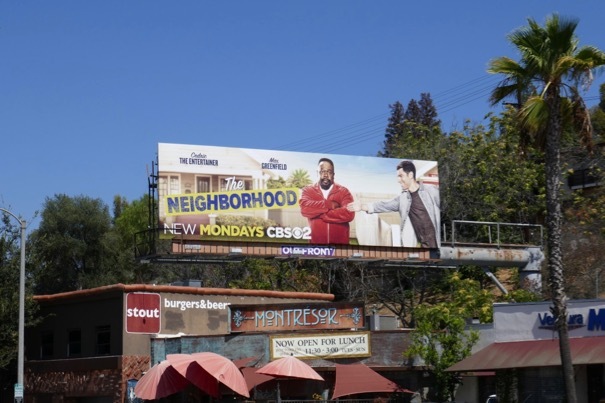 To help lift your spirits this fall TV season, CBS has another fresh, new sitcom to help provide a few laughs, The Neighborhood. 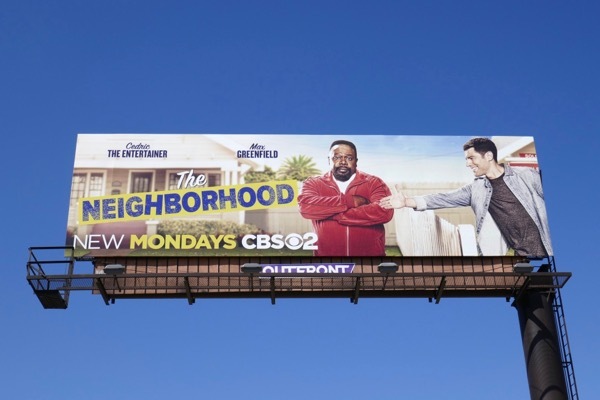 Cedric the Entertainer returns to the small screen as 'Calvin Butler', a father and husband (to Tichina Arnold) living in a predominantly black neighbourhood in L.A. who finds himself with new chipper next-door neighbours from the Midwest, played by Max Greenfield and Beth Behrs. 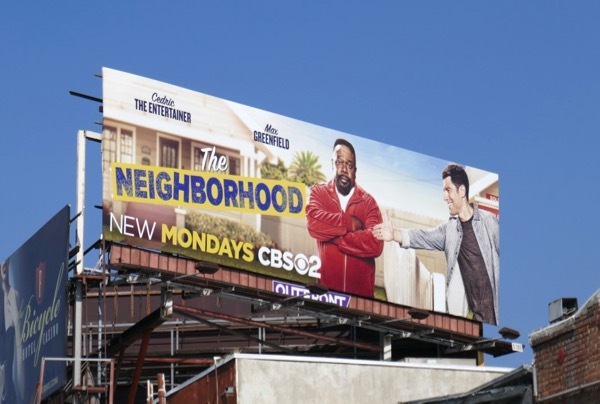 These series launch billboards were photographed along Santa Monica Boulevard, La Cienega Boulevard, Ventura Boulevard and the Sunset Strip from August 18 to September 6, 2018. 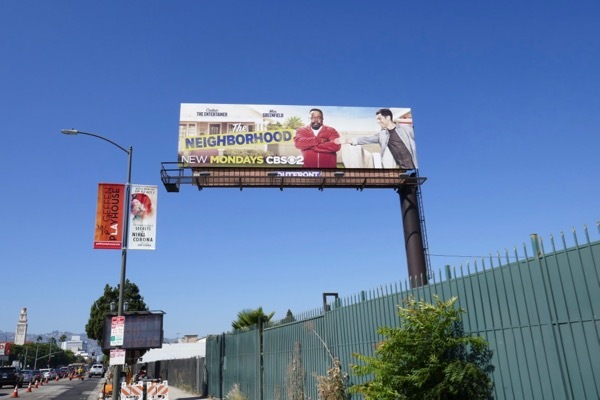 Fans of Cedric The Entertainer can also check out this giant billboard for The Soul Man from 2012, whilst admirers of Max Greenfield can enjoy all these New Girl billboards. 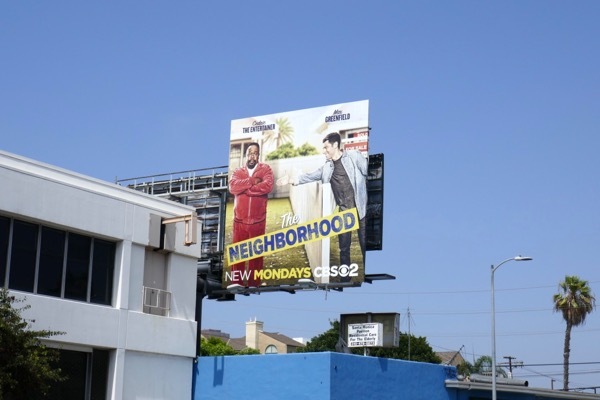 Welcome to The Neighborhood, pleased to meet you. Or maybe not, the jury is still out on that. Can these new neighbours get along in a country that seems so divided at the moment, let's hope so, and more than anything let's hope we can all share a laugh now and again with the people around us.